Dear Parents of these Wonderful Grade Ones! As we prepare ourselves for Easter, we recognize the early signs that Spring has arrived! Highlights from March include Carnaval/Spirit Week, our Shrove Tuesday breakfast and the Ash Wednesday liturgy. The students are doing a good job preparing their hearts during Lent though our daily Lentopoly challenges, as well as enjoying the opening of a "resurrection egg" and work in our Easter lapbooks. They are becoming increasingly aware of the Easter story. You will be happy to know your children are also becoming amazing stewards of the Earth by composting in the classroom, working toward decreasing the amount of garbage we generate. 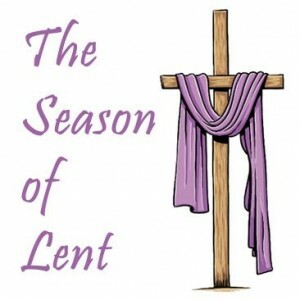 Religion, we will continue to prepare for Easter, focusing on growing closer to God. Math, we will finish our unit on Measurement and begin to apply our daily practise of adding and subtracting numbers. Language, students are adding more detail to develop their ideas and add interest for the reader. The focus continues to be on organizing their thoughts, then editing for capitals, periods and misspelled words. Readers' Theatre is going well, however it is frustrating for the students when members are unprepared. Their classroom practise time ends up being spent helping their peer read the part, rather than working on reading together as a group. Science, the Grade Ones are continuing with "Energy in our Lives". Social Studies, we will continue to investigate local and global communities. Thank you for investing your time supporting the children as they work through their scripts nightly and Bookbag books weekly. It is greatly appreciated!